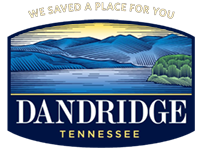 The Town of Dandridge was chartered under a Private Act of the Tennessee Legislature in 1906. The Town adopted the Mayor – Alderman form of government. The governing body consists of a Mayor and six (6) Alderman who are elected from the Town, at large, to serve a four (4) year term. Each member of the governing body must be a qualified voter and reside within the corporate limits of the Town. The Mayor presides over all meetings and has a voice and vote in all matters coming before the Board of Mayor and Alderman but no veto power. In his absence, a Vice Mayor, elected by the Board of Mayor and Alderman, handles all the duties bestowed upon the Mayor.